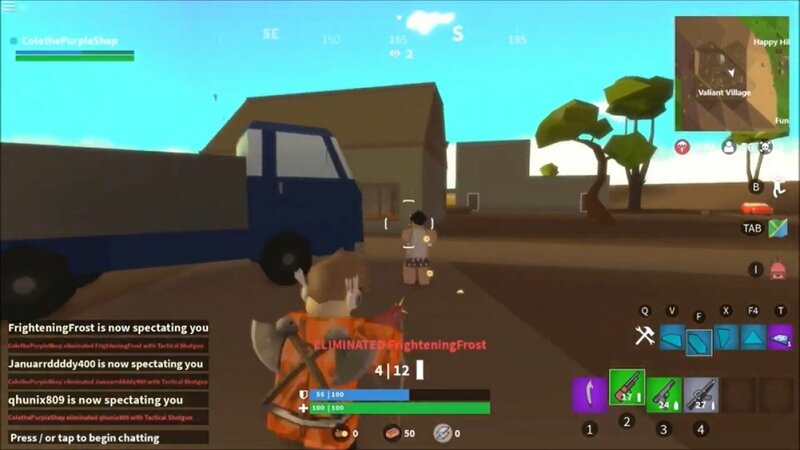 Fortnite as such isn’t available in Roblox due to a very simple reason that has to do with the game’s copyrights but there are quite a few similar MODs. One of the most popular ones is Island Royale. This game recreates the Epic Games title in all the possible aspects allowed on this platform, starting off by parachuting us onto an island or the store from where we can buy several items for the game. Thus, we're talking about a crossover between two of the most successful titles. On the one hand, Fortnite, which has become a huge mass phenomenon with millions of players all over the world (and that’s without an Android version as of yet) based on a free-to-play model that has taken it to being the most profitable video game at present. On the other hand, Roblox, the platform on which its users can easily create their very own games and where we can find, apart from original titles, many other games based on already exiting titles (as is the case of Pokémon GO). The secret behind its success is the simplicity and its visual aspect inspired by Minecraft with plenty of fans despite how rudimentary it looks. However, the main difference between both developments is that whilst Fortnite is a guided game in which we have to carry out and complete the goals and missions proposed, Roblox is much more flexible: if we want to invent a game, there are no style limitations. Both of them are two of the most representative examples of the modern video game industry.